At Lawrence Chiropractic Clinic we have two locations to care for your individual health care needs. 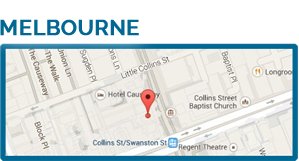 Our Essendon and Melbourne CBD locations offer both relief and wellness chiropractic care with an emphasis on sharing a health system based on the body’s natural function. We understand that sometimes patients may need care that fits their schedule, not ours. So we offer after-hours and off-site care options to suit your needs. Contact your local Lawrence Chiropractic Clinic office to book. At Lawrence Chiropractic Clinic, we relieve pain and discomfort in the safest, most natural way possible. Lawrence Chiropractic Clinic’s qualified chiropractors, Dr Ernest Lawrence, Dr Andrew Lawrence, and Dr Chris Vandeloo, as well as our Manual Therapist Mr Daniel Seaton can treat pain from spinal related issues with modern chiropractic equipment, technology and techniques. 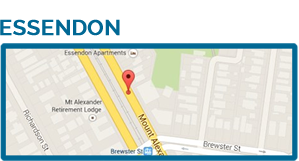 Contact our chiropractors in Essendon at (03) 9379-5425 or in Melbourne CBD at (03) 9654-5228!